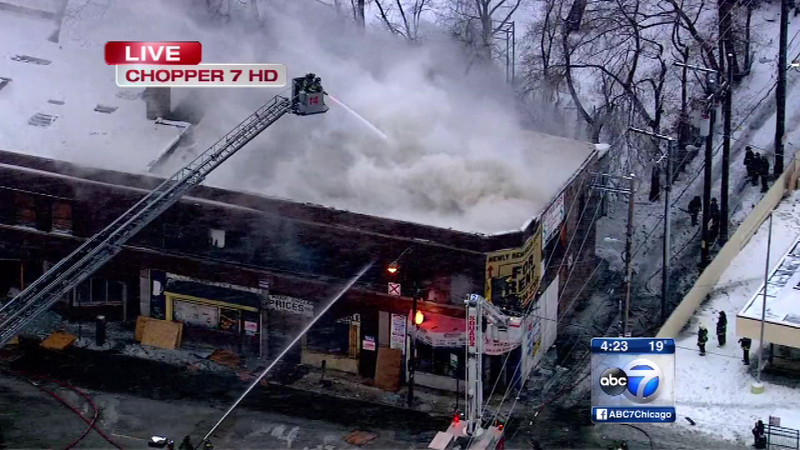 CHICAGO (WLS) -- Firefighters are on the scene of a fire at a possibly abandoned apartment building in East Garfield Park. The building is located at Pulaski and Madison. No injuries have been reported.